The Rachio 3 Smart Sprinkler Controller raises the smart watering bar with foolproof installation, dual-band Wi-Fi and an expressive light bar. 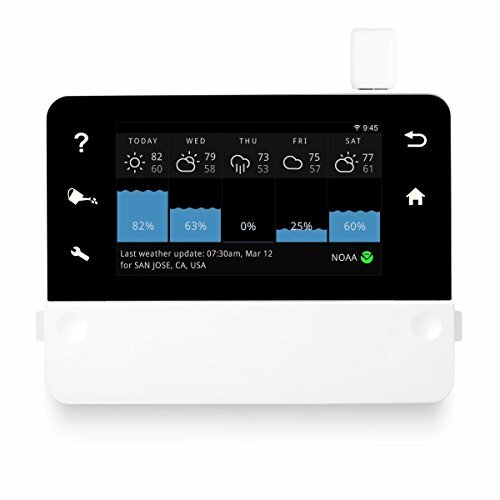 Rachio 3 is the only controller equipped with hyperlocal Weather Intelligence™ Plus and Rachio Wireless Flow Meter compatibility. 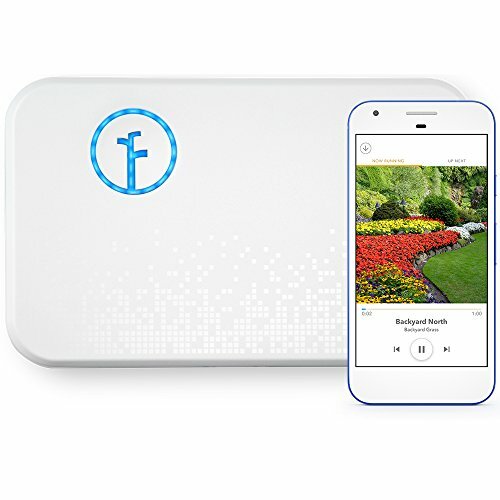 The Rachio 3 Smart Sprinkler Controller automatically creates watering schedules that lower your water bill and ensure a beautiful yard, while the mobile app lets you manage your sprinkler system from anywhere. 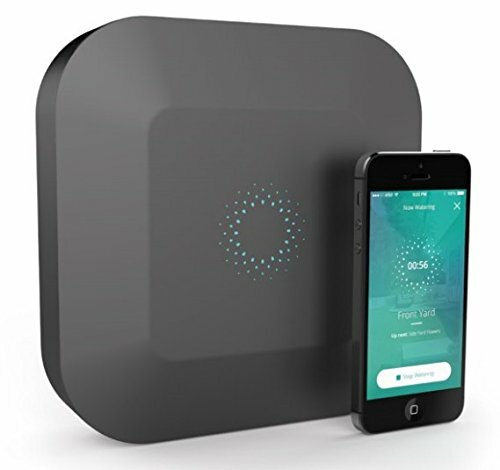 Rachio partners with the top smart-home platforms including Amazon Alexa, the Google Assistant, Nest, IFTTT – making it the most connected controller on the market. Easy-press connectors make wiring a snap. Connect with both 14 & 18 gauge wires. Magnetic cover locks right into place. 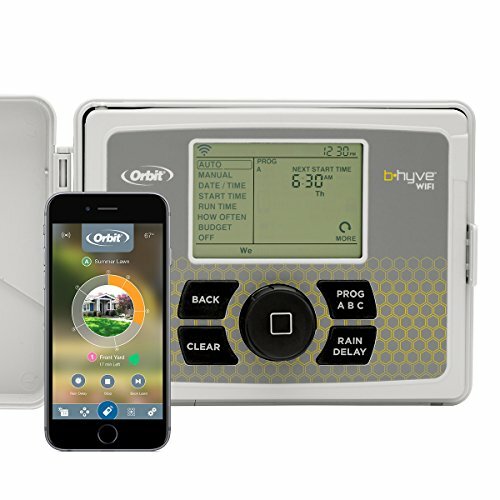 Adding to their legacy of top-of-line sprinkler timers, Orbit is pleased to announce the addition of their most intuitive, feature-rich timer to date. The Orbit B-hyve Smart WiFi Sprinkler Controller is made in the USA with global materials. 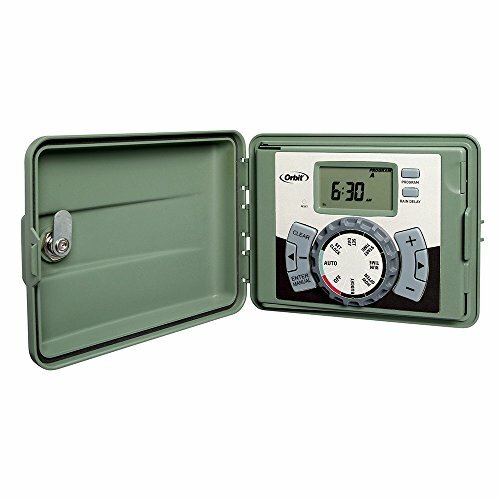 The perfect timer for new installations or for replacement, it is available in both 6 and 12 station models with indoor/outdoor-rated locking cabinet. 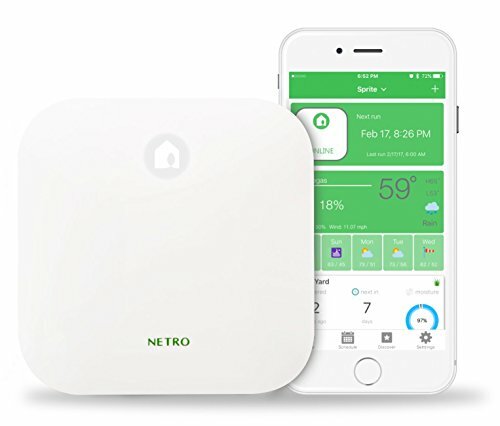 Control it with an Android or iOS device, computer, or at the timer with the super-intuitive interface millions of customers know and love. WaterSense and SWAT labeling provide assurance that B-hyve uses advanced weather data to deliver just the right amount of water to plants and turf, and postpones watering whenever rain is in the forecast. The Orbit B-hyve Smart WiFi Sprinkler Controller makes saving water, time and money easier than ever. The Orbit swing door timer comes in a weatherproof cabinet with internal transformer for easy indoor or outdoor plug-and-go installation. Easy-Set Logic provides for headache-free programming of up to 6 different zones in your yard. Simplify your life with the power of smart watering. 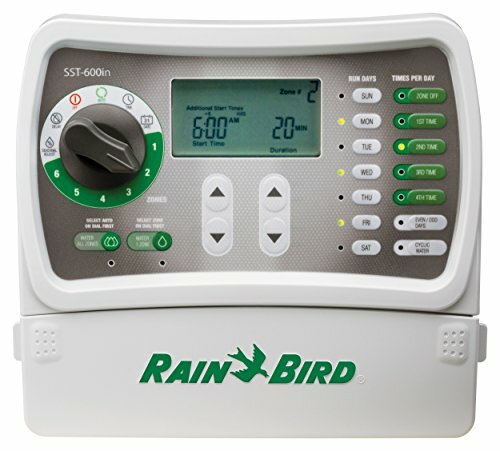 No more aimless tinkering with your old irrigation controller. 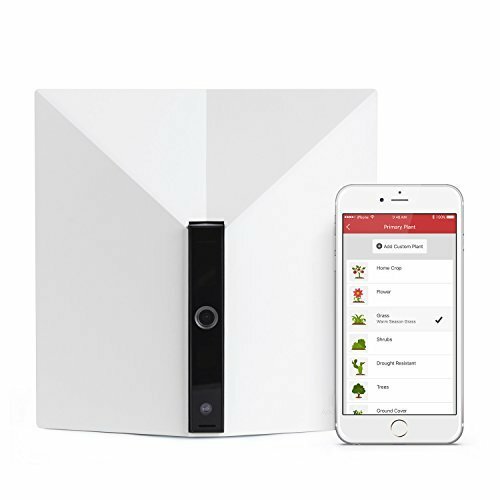 The Blossom smart watering controller automatically programs itself based on real-time local weather data collected from the Internet to create an optimized watering schedule for your yard. This means that on the sunniest, hottest days, Blossom will apply extra water to replenish dry soil. On cooler, less sunny days, Blossom adjusts to irrigate less. If measurable rain is in the weather forecast, Blossom skips watering for that day. 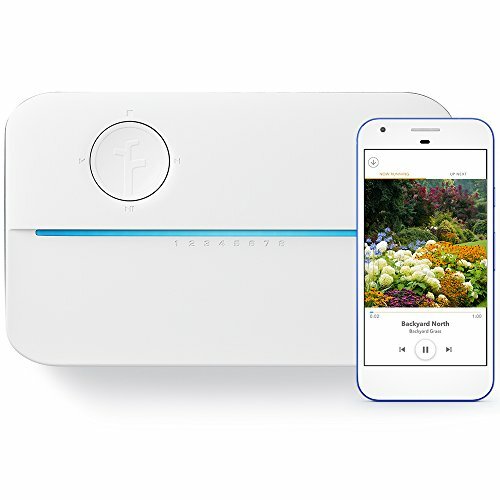 The result is an automatically adjusted irrigation plan tailored for your lawn & garden that can be monitored from anywhere at any time from your smartphone or tablet over this Wi-Fi enabled system.Blossom 7 has a known compatibility issue with some newer Comcast / Xfinity XB6 Xfi enabled routers. The specific model numbers included are: -Arris TG3482G (XB6) -Technicolor CGM4140COM (XB6)If you have any of the above routers, please contact us at 1-855-976-5315 or [email protected] for additional details. Yardian by Aeon Matrix is the world's first multi-functional smart sprinkler controller with HD security camera. Our company goal is to help people protect and save our single most valuable resource, Water. By syncing with local weather data and forecasts, as well as water restriction databases, Yardian is able to adjust and set the optimal water scheduling to keep your garden green and healthy while saving up to 50% on your yearly water usage. With Amazon Alexa and IFTTT compatibility, Yardian can work with your existing smart home products. You can install the Yardian Smart Home Controller and starting helping to conserve water in less than 15 minutes. Make your lawn smart enough to save the world with Yardian by Aeon Matrix. Shopping Results for "Sprinkler Control"